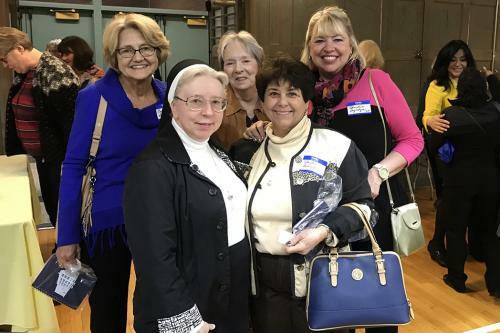 On April 14, about 350 Holy Family Academy High School (Chicago) alumnae and their guests attended a reunion, of sorts. 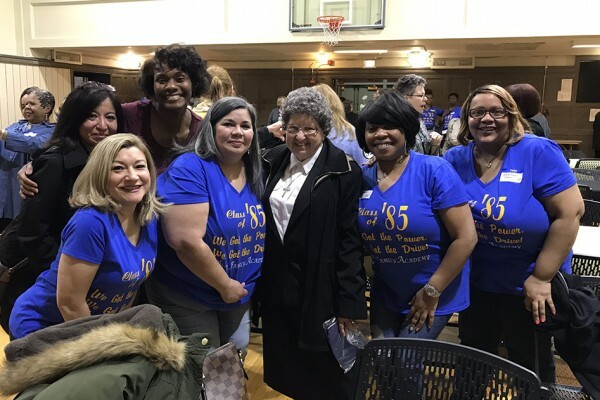 Thanks to the work of Sr. Clare Marie Kozicki, CSFN, (HFA class of 1965) permission was granted for us to host a gathering in the building that housed Chicago’s Holy Family Academy from 1887 until it closed in 1988. The facility is now Near North Montessori School which offers educational programs for children from six months through 14 years. Those who attended this special event enjoyed tours of the building and light snacks. The best part of the day for the guests was simply being together with their high school friends. Many attendees had not been back since graduation and many of the women had been out of touch for years. Others enjoyed showing family members where they went to school. The oldest graduates present were from the class of 1942, but many years were represented. Thank you to Mieko Yoshida, Facilities & Operations Director of the Near North Montessori School, and her staff for allowing us to host this wonderful and joyous gathering.